WHEN archaeologists uncovered a Roman bath in Ecija, the town hall turned it into a car park. 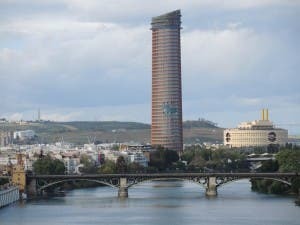 When UNESCO threatened to take away Sevilla’s World Heritage status, the city ploughed ahead with plans for a 40-storey skyscraper anyway. And now, in Cadiz, Spain’s latest restoration disaster is unfolding. Historians and locals are outraged over ‘repairs’ to El Castillo de Matrera, after the 9th century castle was ‘extended’ by builders. In place of ancient stone work, concrete blocks were slotted in to ‘preserve’ the monument. A National Monument since 1949, a local historian described the work as a ‘heritage massacre’. Such a cowboy cockup the Castillo received international media coverage lambasting the poor workmanship and the images went viral on social media, as people mocked the less-than-lovingly restored Moorish castle. But the botched job on the Castillo is nothing new. ONE of Spain’s biggest restoration disasters has become a tourist draw. When an elderly woman’s tried to repair a religious fresco in a Zaragoza church in 2012, scandal and derision reverberated through the country and its media outlets. 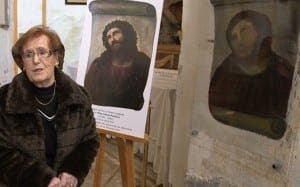 But now Cecilia Gimenez, 82, has the last laugh, as a visitor centre has opened to document her botched drawing of Christ. Her efforts to preserve Behold the Man (Ecce Homo) were cruelly but somewhat accurately renamed Behold the Monkey (Ecce Mono). The patched-up 100-year-old sketch has drawn some 100,000 visitors to Borja and even inspired an opera, Behold the Man. Borja Mayor Francisco Arilla hopes more good can come, with an average of 30,000 visitors per year predicted. FOR 13 centuries a bell tower overlooked the ancient city of Sevilla. 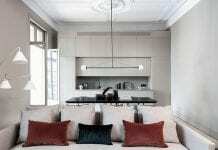 It was the tallest building in Andalucia’s capital and the standout jewel on the city’s skyline. Then in 2010, a 178-metre tower was erected by Spanish bank Cajasol and the quaint La Giralda bell tower was thrust into its shadows. It was regarded as such an eyesore and an insult to the city’s architecture, UNESCO threatened to remove Sevilla from its list of World Heritage Sites. In the end, the city retained its status but remains on the ‘threatened list’ and has been warned off ruining its historic skyline. ARCHEOLOGISTS could barely hide their excitement. Historians revelled in the unearthing of a new hidden gem. And then … the bulldozers moved in, flattening nearly 2,000 years of history. Beneath the main square of Ecija, in Sevilla, a treasure trove of Roman history languishes beneath a new car park. Where a Roman bath house, gymnasium and temple had once stood, Seat Ibizas, Leons and Toledos are now parked up. 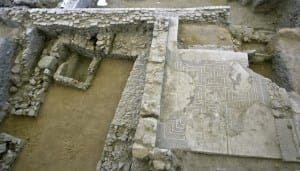 While archaeologists around the world slammed the work, the town hall claimed that had it not dug up the main square to build the car park in 1998, the remains would never have been found. 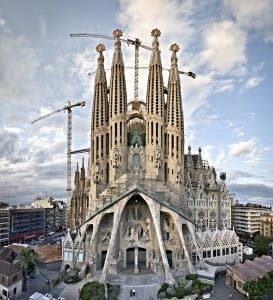 WHEN the final stone is set in place, Gaudi’s famous Sagrada Familia will be the world’s tallest church, soaring 170 metres above Barcelona. It will also be one of the strangest looking and possibly the most controversial places of worship ever built. Confounding architects, critics and historians alike, the church was described by George Orwell as ‘one of the most hideous buildings in the world’ and he admitted he hoped it would be destroyed during the Spanish Civil War. Although Gaudi began the work, the building’s numerous subsequent architects have each added their own stamp. Some critics say they have strayed too far from the original vision of the great Spanish architect. Started in 1882 the project is scheduled – although unlikely – to be finished in 2026.